N. 2, September 2000 - "The Place of Science"
“Science bumps the ceiling of the corporeal plane…. From the metaphysical point of view its arms, lifted toward a zone of freedom that transcends coagulation, form the homing arc of the ‘love loop.’ They are science responding to Eternity’s love for the productions of time.” This grandiose bit of poetical nonsense concludes a chapter of Huston Smith’s Forgotten Truth dedicated to put science in its place. Smith is one of the world’s foremost authorities on religions, and his aim is to demonstrate that science is not an omnipotent force that can answer all questions posed by humanities. That is, science needs to be put in its place. Fair enough, although I don’t know of any scientist who would claim otherwise. Contrary to what many anti-intellectuals maintain, science is by nature a much more humble enterprise than any religion or other ideology. This must be so given the self-correcting mechanisms that are incorporated into the scientific process, regardless of the occasional failures of individual scientists. But what is most astounding in Smith’s essay is his attempt to develop a parallel between science and mysticism in order to “demonstrate” that the world’s great religions are capable of insights at least as powerful as science’s because they actually use similar tools. Let us then briefly examine this alleged parallelism and in the process try to understand what the proper place of both science and religion ought to be. 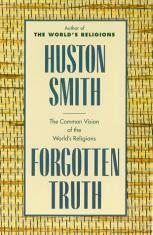 Smith’s first insight is that science and religion both claim that things are not as they seem. For example, you have the perception that the chair on which you are sitting is solid, but modern physics will tell you that it is made of mostly empty space. This, apparently, is analogous to the following bit from C.S. Lewis: “Christianity claims to be telling us about another world, about something behind the world we can touch and hear and see.” Never mind, of course, that physicists can bring sophisticated empirical evidence to support their claim about the emptiness of space, while Christianity is made up of a series of fantastic and contradictory stories backed by no evidence whatsoever. 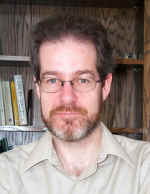 Second, according to Smith, both science and religion claim that the world is not only different from what we perceive, but that there is “more” than we can see, and that the additional part is “stupendous.” Of course, electrons, quarks and neutrinos are “more” than we can see, although they are stupendous only to those few scientists who spend their lives working on them. Well, this is apparently the same as Shankara’s “notion of the extravagance of his vision of the summum bonum when he says that it cannot be obtained except through the merits of 100 billion well-lived incarnations,” a cornerstone of some Indian sacred text. I hope you are starting to appreciate the depths of the similarities between science and religion. But wait, there is more. The two quests for truth also share the quality that this “more” that they seek to explore cannot be known in ordinary ways (otherwise, presumably, one would need neither science nor religion to get there). Science’s ways lead to apparent contradictions, such as in the case of some aspects of quantum mechanical theory. To which Smith juxtaposes some gems from the Christian literature that he says uncannily resemble modern notions of quantum physics. For example, did not Nicholas of Cusa (De Visione Dei) write that “the wall of the Paradise in which Thou, Lord, dwellest is built of contradictories,” pretty much like the dual particle-wave nature of light? And did not Dionysius the Areopagite (The Divine Names) say “He is both at rest and in motion, and yet is in neither state,” thus anticipating Heisenberg’s indeterminacy principle? I am not making the examples up—these are Smith’s very own. 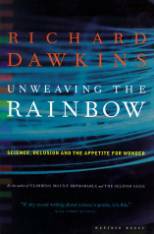 Fourth, both science and religion have found other ways of knowing this “more” which cannot be accessed by our ordinary senses. The language through which science accomplishes this is mathematics; the one of religion is, of course, mysticism, which Smith describes as a “comparably specialized way of knowing reality’s highest transcorporeal reaches” (whatever that means). This, according to Smith, is “not a state to be achieved but a condition to be recognized, for God has united his divine essence with our inmost being. Tat tvan asi; That thou art. Atman is Brahman; samsara, Nirvana”. Yes, of course. Finally, in both science and religion profound knowing requires instruments. In science, these are microscopes, telescopes and particle accelerators. In religion, the equivalent is provided by the Revealed Texts, “Palomar telescopes that disclose the heavens that declare God’s glory.” If gods who dictate texts are not palatable to you, there is an alternative: “Spirit (the divine in man) and the Infinite (the divine in its transpersonal finality) are identical—man’s deepest unconscious is the mountain at the bottom of the lake.” Get it? I would not have bothered the reader with this mountain of nonsense if it came from the local televangelist screaming bloody hell against the humanists’ corruption of the world. But this is Huston Smith, one of the most respected intellectual exponents of modern religionism, one who is hailed as offering the deepest insights that not just one, but all the world’s religions can offer! This is a maddening example of what Richard Dawkins (in Unweaving the Rainbow) called “bad poetry.” Metaphors make much of the world’s literature a pleasure to read, but they can also be exceedingly misleading. There is no parallel whatsoever between science and religion. One can practice one or the other or both, but to pretend that they yield common insights into the nature of the world is an intellectual travesty. 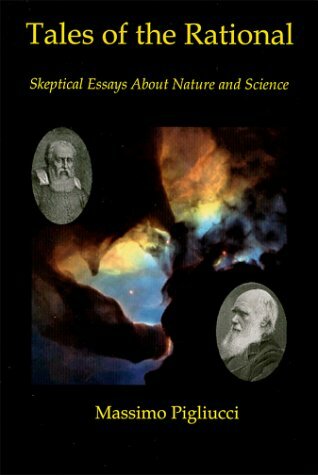 To go further, as Smith and so many religionists do, and assert that science is arrogant because it claims to provide the best answers to a circumscribed set of questions is astonishing, especially when the alleged alternative is so obviously the result of Pindaric flights of imagination. Now, here is my modest proposal: what if religions would treat themselves to a little dose of humility? Imagine what the world would be like in that case. Next Month: "Whence Natural Rights?"